ALANO MILLER (Raymond) was born in Orlando, Florida, the son of an architect and an educator who greatly influenced his development and artistic direction. By the time he graduated high school, he had amassed a score of honors including receiving the Key to the City of Orlando and being named a six-time Martin Luther King, Jr. Oratorical Winner. He also holds three national titles in Oratory: Elks of the World, NAACP, and Modern Woodsman of America. Out of 8,500 students nationwide, he won the National Foundation for the Advancement of the Arts Award. Mr. Miller also received the Presidential Scholar Award from President Clinton. 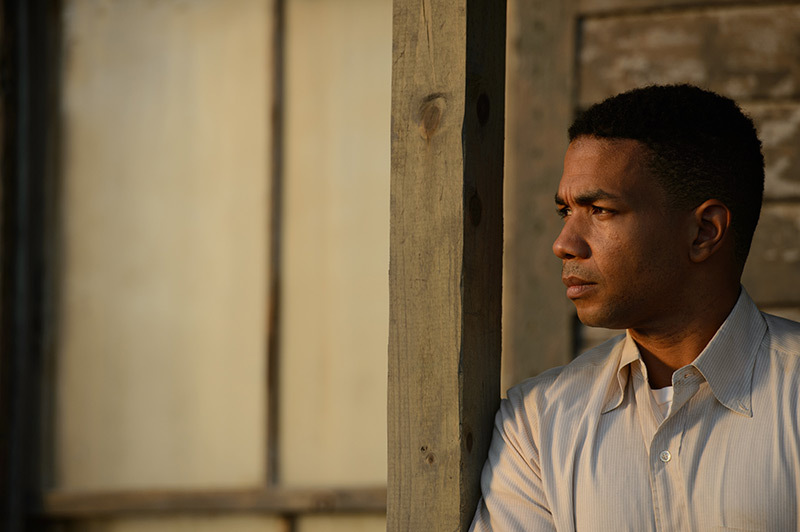 He was most recently seen co-starring as Cato on Misha Green and Joe Pokaski’s acclaimed WGN America television series Underground, opposite Christopher Meloni, Jurnee Smollett-Bell, Aldis Hodge, Jessica De Gouw and Jussie Smollett in the Underground Railroad-themed drama. Television audiences also know Mr. Miller for his memorable guest-starring arc(s) as twins Roman and Aaron Zazo on the popular series Jane the Virgin. He has also guested on such hit shows as Person of Interest, NCIS, Damages, and Royal Pains. His stage credits include Nathan Louis Jackson’s Broke-ology at New York’s Lincoln Center, and productions of Fences and Native Son. He has starred in several plays by award-winning playwright Tarell Alvin McCraney, among them Marcus, or The Secret of Sweet; The Brothers Size; In the Red; and Brown Water. Mr. Miller’s film credits include Wish You Well, directed by Darnell Martin and adapted by David Baldacci from his book, starring alongside Ellen Burstyn, Mackenzie Foy, Josh Lucas, and Ned Bellamy.